Specially designed for teenagers, this workout will develop your body, speed, and power while you learn real kung fu techniques. For ages 11 & up. Learn real kung fu and get a serious workout. Specially designed for teenagers (age 11 & up), the Kung Fu for Teens workout will develop your physical conditioning while you learn effective martial arts techniques. This program takes the mystery out of martial arts training and offers a clear explanation of the exercises you need to become a kung fu practitioner. Ben Warner teaches traditional Longfist kung fu techniques and principles in an easy-to-follow workout. Kung fu body-weight exercises teach you how to strengthen your whole body with exercises for the arms, legs, torso and core. Blocking, striking and kicking techniques are demonstrated alone, and in combination with a partner, to help you build lightning-fast hands and legs. Learn how to generate maximum power by incorporating full-body movement in your martial techniques. Warm up and post-workout stretching sections will teach you to how keep your body operating at its maximum potential. Keep your mind centered by learning "Wu De", the martial code of ethics and morality. Training strategies are explained so you will be able to train efficiently and recover effectively. The fundamental exercises taught in Kung Fu for Teens can be applied to any martial art, such as Karate or Taekwondo. 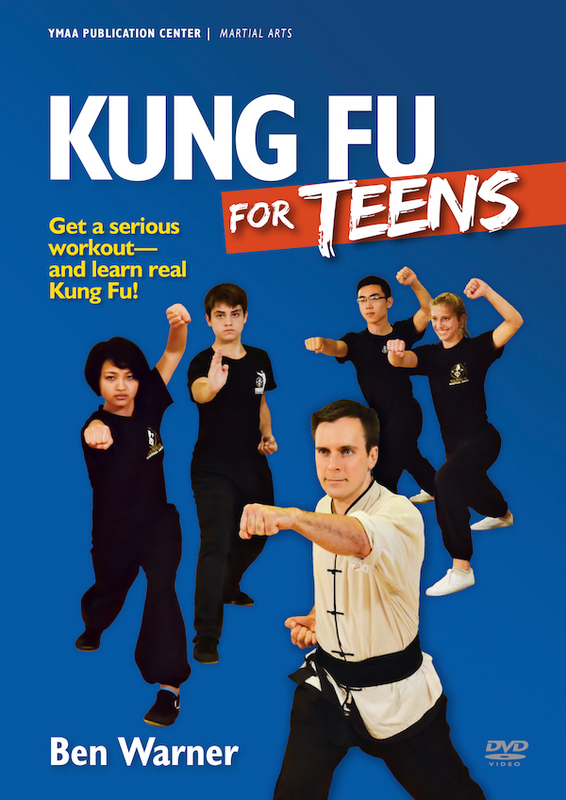 Great for teens of any age, this program builds upon the basics taught in the "Kung Fu for Kids DVD".